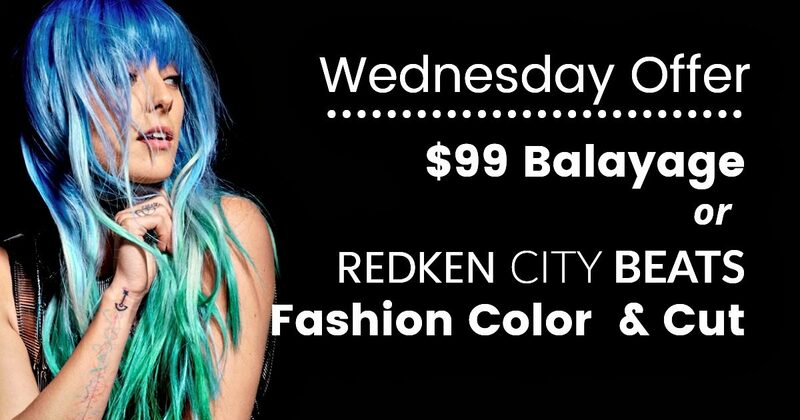 Step up your color game with this Wednesday $99 Balayage or Redken City Beats Fashion Hair Color & Haircut! * This pricing includes 1.5 Scoops Lightener, 1 Add Color & Cut. Valid with select team members on Wednesdays Only and cannot be combined with any other offers. Call Salon for details.